May this year bring you blessings. Wash, Water, it’s all wet. Hi Ronovan, This is my first haiku of the year and wish you a very HAPPY NEW YEAR. 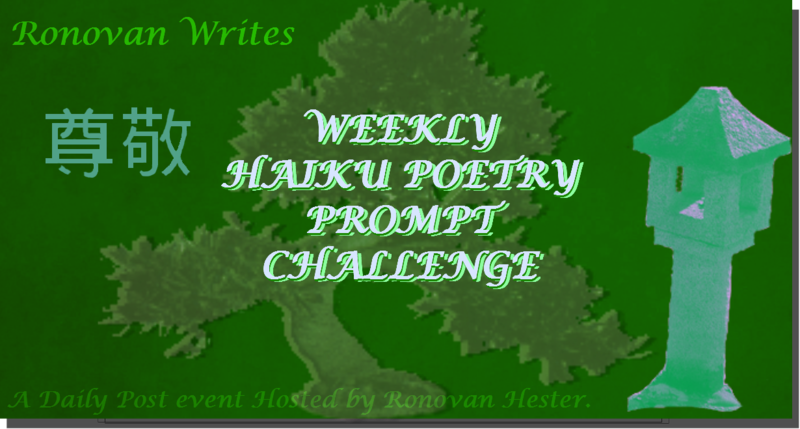 Really enjoying your haiku challenge, already submitted one entry, number 2 shortly. Hi Ron! It’s my first time participating in the haiku challenge. I’ve also tagged this post for Al’s ‘banish the blues’ … I hope that’s ok!